Now, whether it’s a ride, a sandwich, or a package, we use technology to give people what they want, when they want it. For the women and men who drive with Uber, their app represents a flexible new way to earn money. For cities, they help strengthen local economies, improve access to transportation, and make streets safer. When you make transportation as reliable as running water, everyone benefits. 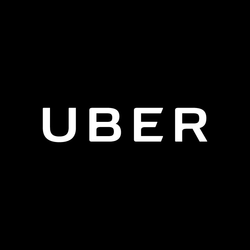 Uber is seeking a senior brand design manager to lead, manage, and grow the regional brand marketing team. The role demands great execution, bold innovation, obsession with quality, fearlessness and optimism to be inspired by the unknown and never settle, solving problems with creativity while keeping the user in mind and ambition to take projects to the finish line. Work among other exceptionally talented staff in a fast-paced, rapidly growing, highly collaborative environment. From music festivals to marketing collateral, you will have the opportunity to give a local voice to Uber’s communications. Concept and execute both large scale and small scale brand expressions that are incredibly impactful and positive. Push projects to a world class level conceptually. Craft and lead world class executions that range from illustration to environmental design. Manage and direct outside agencies in a variety of cross disciplinary executions. Help designers become a source of inspiration for marketing efforts and inspire marketing management to be even more potent. Teach designers across regions how to strengthen their voices to become a thought and creative leaders in their local markets. Enable regional teams to ship high quality design assets with minimal effects on velocity, maximizing quality, creativity, and timely delivery. Build team camaraderie and apply best practices in cross region knowledge sharing. Build the systems for you (and others) to effectively identify, evaluate and hire designers and writers who can take Uber to new levels of awesomeness. ​Employees are given Uber credits every month.